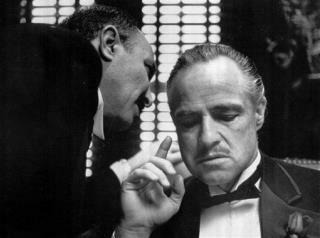 The Godfather (1972): While the mobster epic grabs the top spot on USAT's list, it's No. 2 on Vulture's. Casablanca (1942): USAT's No. 2 pick is tops on Vulture's list. Schindler's List (1993): But Vulture doesn't list the Holocaust tale until No. 7. On the Waterfront (1954): The Marlon Brando classic comes in No. 5 on Vulture's list. All About Eve (1950): The Bette Davis flick is Vulture's No. 3 pick. So what was in Vulture's top 5 that wasn't in USAT's? The Godfather Part II at No. 4. See Vulture's full list here, or the rest of USAT's top 10 here, or go to the next page for the five worst Best Picture winners. Its all a matter of opinion. Doctor Zhivago (1965) is my choice for the all around greatest movie of them all.